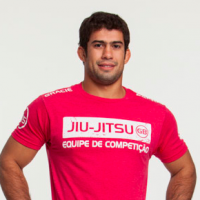 The development of Gracie Barra’s presence in a new territory starts through the work of a leader. Expansion and movement into different territories or areas usually starts with one GB School, then eventually spreads out to several other locations as students of the originating school decide to follow in the steps of their mentors. This process has been going on since the first Gracie Barra School was founded back in 1986 in Barra da Tijuca, Rio de Janeiro, Brazil. Depending on how the rules are set and the roles and relationships are defined, the growth can develop into a strong regional presence with multiple GB Schools operating in synergy. Failure to do so can result in disarray, stagnation, and numerous conflicts between schools. 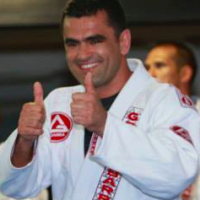 To ensure the establishment of rules and support, Master Carlos Gracie Jr. appoints a Regional Director. Our Regional Directors play a very important role coordinating the implementation of Master Carlos Jr.’s teachings and philosophy for a city, a state, or even on a national level. They manage what we call internally the “Regional Office Operations (ROO)”. Gracie Barra Schools can count on the support of our regional directors in many parts of the world. 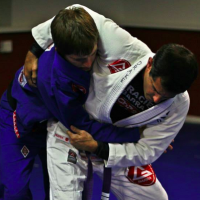 These Gracie Barra Black Belts are aligned with the vision of Master Carlos Gracie Jr. and can help you progress and operate in line with the guidelines set by Gracie Barra and its founder. 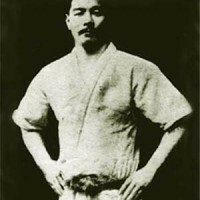 Gracie Barra was founded in 1986. Over the years we grew from one GB School to more than 700 locations on 6 continents. Our founder, Master Carlos Gracie Jr., mentored and inspired several generations of Jiu-Jitsu fighters and instructors to work together on the dream bringing Jiu-Jitsu for Everyone. These man and women are the outcome of many years of training and dedication to the art of Jiu-Jitsu. They now hold the noble title of Gracie Barra Black Belt and continue to pay an active role inside the GB family. some of them have become Jiu-Jitsu Champions, others have moved away from their homes committed to Keeping the Legacy Alive. Many others continue to be students enjoying a lifestyle of good habits, commitment to personal growth and lots of training. Recently the Gracie Barra Legacy Award was created by Master Carlos Gracie Jr. as recognition for the loyalty, support, commitment, and hard work of Brazilian Jiu-Jitsu professors who have been working to build Gracie Barra for 25 years or more. Each one of these individuals have placed an enormous contribution not only to GB, but to the art of Jiu-Jitsu as competitors, instructors and leaders. The Gracie Barra legacy is built upon the many great champion Professors and Masters extending beyond the Jiu-Jitsu arena. Lessons taught by our instructors have impacted positively the lives of hundreds of communities and thousands of people over the years. Our collective mission is to bring one Gracie Barra School to each city in the world. Master Carlos Gracie Jr. created a vision on how this mission should be accomplished and we will teach and support those who share our passion for living and teaching the Gracie Barra way. Our Masters are instructors that hold the rank of 7th Degree Red and Black Belt or 8th Degree Red and White Belt. Gracie Barra’s founder, Carlos Gracie Jr., holds the rank of 8th Degree Red and White Belt. Our Masters are Instructors that hold the rank of red and black belt, 7th and 8th degree. These individuals are responsible for bestowing the coveted black belt rank. 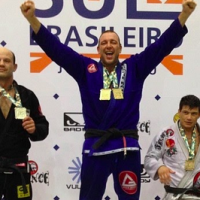 The Gracie Barra founder, Carlos Gracie Jr. holds this title. All individuals qualified to teach at a Gracie Barra School are instructors, including Masters, Professors, Head Instructors, Chief Instructors and Coaches. Gracie Barra Instructors are held responsible to high standards of etiquette, instruction and philosophy set by Master Carlos Gracie Jr. and the Gracie Barra Association. To maintain the integrity and focus on safety in our schools, all of our instructors are certified. Additionally, our instructors are all required to be CPR/Basic First Aid certified. GB Instructors shall reinforce the family spirit among students, parents, and other instructors. Their attitude must always be positive and cooperative in order to channel their creative energy towards the strengthen and the growth our family, always putting the team in front of individual selfish needs. GB Instructors shall nurture and reinforce a cooperative environment inside and outside the dojo. They must ensure that the competitive realm is restricted to tournaments as well as the competitor attitude. They must make the students understand that progress is not reflected on their ability to overcome a training partner or an competitive opponent, but rather reflected on their capacity to engage on a cooperative training experience were the winner is whoever learns more. GB Instructors shall constantly discipline the students but never punish them. They must make students understand that without discipline there is no mastery, neither in Jiu-Jitsu nor in life, and that without the willingness to sacrifice, excellence is just not possible. GB Instructors shall reinforce that students must act with warmth and equality toward one another, regardless of their differences in race, creed, gender, nationality, etc. The belt ranks hierarchy must be respected and the authority of the Black Belt sincerely recognized. GB Instructors shall reinforce that Jiu-Jitsu is a life long journey with no ending point. Students must perceive the Black Belt as their minimum goal and that their progress represents an increasing commitment to their growth as Jiu-Jitsu practitioners and human beings. GB Instructors shall lead by example, kindness and care. The formal authority shall always supported by their moral authority built upon a positive, cooperative, and constructive attitude towards the students and other instructors. GB Instructors shall understand their importance on students lives as role models, as well as their responsibility in bringing out the best each person has within. GB Instructors shall teach a class as a privilege and never take it as a burden. Each class is the realization of a dream, the instructor life’s work. They must enjoy every minute of it and teach like it was going to be their last opportunity to change students lives for better. 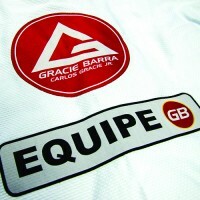 Athletics at Gracie Barra is represented by a sport Jiu-Jitsu competition team known as EQUIPE GB. 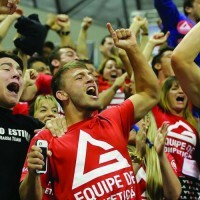 Athletics within Gracie Barra builds community and pride through the engagement of students, staff, parents, and friends, and creates a portal through which everyone can enjoy the GB experience. Successful athletic performance generates a unique excitement across the Gracie Barra Schools and community, help strengthen bonds among the various arms of our organization, build students loyalty in a healthy manner, and gives Gracie Barra members yet another reason to be proud to represent the legacy of Master Carlos Gracie Jr. and defend the Red Shield. Athletic participation helps Gracie Barra students grow, learn, and enjoy themselves while developing their body, mind and spirit. Our competition team values the lessons that have long been taught by sport Jiu-Jitsu competitions: the pursuit of excellence through personal development and teamwork, ethical and responsible behavior on and off the mats, leadership and strength of character, and sportsmanship – respect for one’s opponents, acceptance of victory with humility, and acknowledgement of defeat with grace. By embracing these values, EQUIPE GB members create habits which will lead to a better lifestyle and well-being. While winning is not an end in itself, at Gracie Barra we believe that the efforts by our athletes to be their best will lead them to succeed throughout their lives.